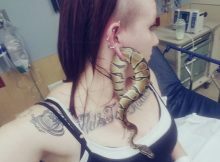 A woman from the US state of Oregon managed to get her pet python stuck in her earlobe. Ashley Glawe posted a picture of herself in hospital on Facebook. 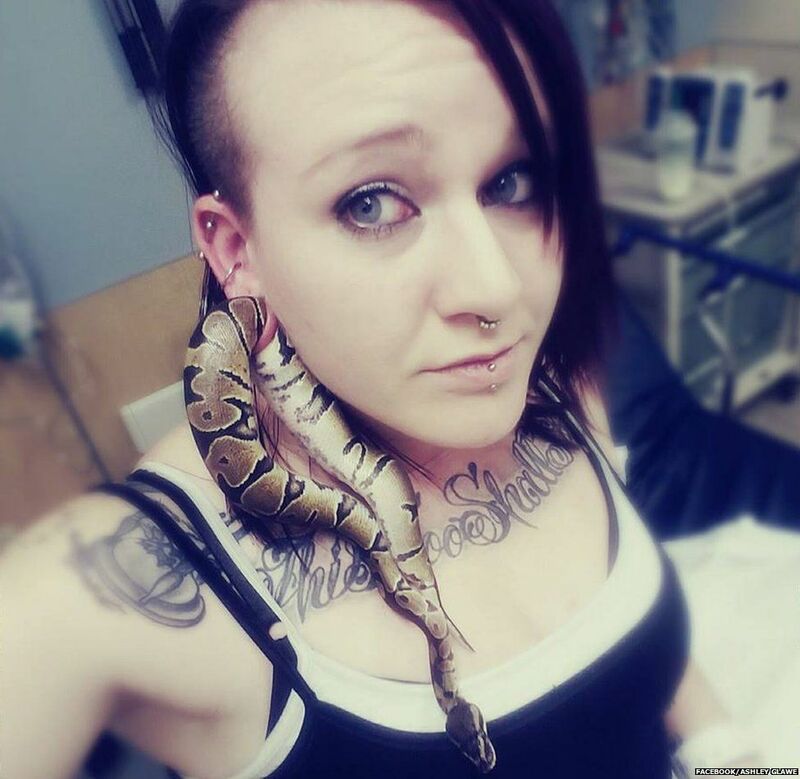 She posted to say she was holding the snake, called Bart, when it slithered through a hole in her ear. She said she was really worried about her Ball Python, but it all worked out OK.
She told friends online that doctors “numbed my ear, stretched it more, and lubed him up to get him through without having to cut my ear… THANK GOD”. Bart the snake is said to be fine.